We’ve all grown up with fairytales, designed to guide us into safe conduct and good moral order; tales of innocent victims “just like us” falling foul to villainous monsters and being rescued by gallant heroes. Villains bad, heroes good. Simple. “DARK TALES, SERIAL ARCHETYPES” (a final installment in ACMI’s “Fairytales Re-Imagined” symposium) delivered a deep, dark look at this – our modern relationship with these fairytale friends… and foes. More specifically, a look at the lure of the modern monster: the sociopathic serial killer. 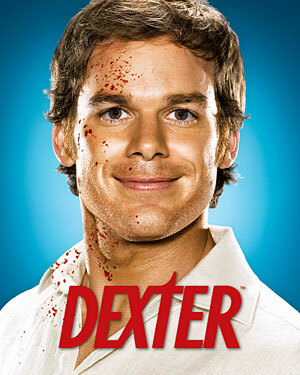 Leading the dark expedition was bestselling author Jeff Lindsay, creator of pop culture’s dark darling du jour – Dexter Morgan. Alongside him, Academia’s representative – crime fiction aficionado and pop cultural raconteur Professor Sue Turnbull. Together, the duo explored pop culture’s fixation on this monstrously popular modern monster. Naturally, analysis anchored on the dutiful Dexter – our favourite big bad wolf in grandma’s nightgown – but also sampled earlier psychopathic pop stars Beowulf and Hannibal Lecter, before arriving at the uncomfortable truth: that the serial killer is Just. Like. Us. Hunh. An evil reflection of own secret dark selves, posing quite the identity dilemma. At once terrifying and intensely interesting, we recognise the big bad wolf’s big eyes, long ears and sharp teeth but still tiptoe closer, fascinated. Grappling for justifications we nod quickly: “Yes, he’s a serial killer but!…He avenges justice!… He likes kids!!…”. Right? And so the leap from Dexter the Devil to Dashing Dexter. Behold – the cult of the serial killer. Indeed, the ACMI theatre was a-hum with fans desperate to tiptoe closer still to the Dexterwolf, as well as his bestselling creator. Lindsay indulged his audience, meting out one-after-another insightful tidbit and dark little pearl on such topics as rising sociopath statistics (scary%), the dark art of comedy, witching-hour writing routines and the cannibalism chat rooms which drove even him to morning martinis. Finally, having tantalised his audience with just enough (and in coy reference to the popular DEXTER TV series) Lindsay concluded with: “Now go read the books. And to hell with the libraries – BUY them!”.